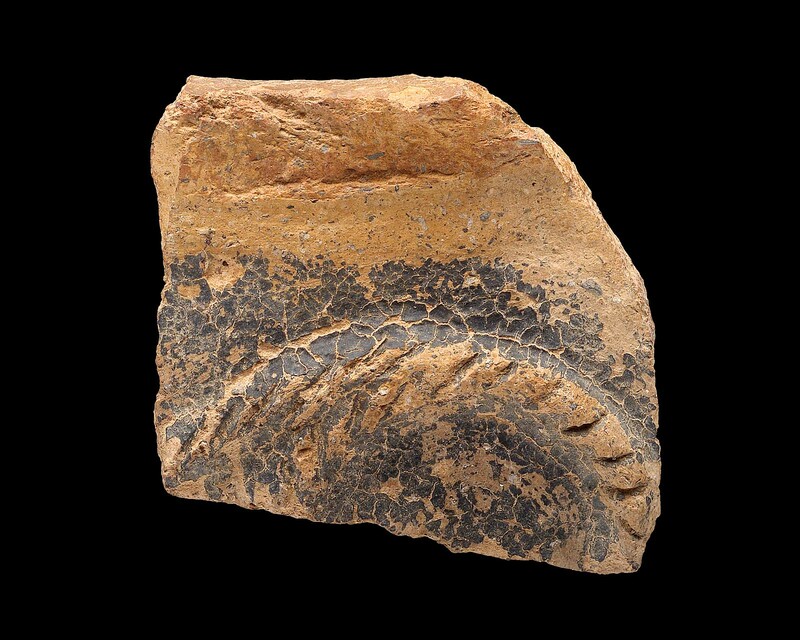 Rim fragment of closed vessel. Square rim. Pink coarse ware. Dull brown slip on full upper rim and black exterior slip on body. PLastic rope pattern with incised diagonal slashes. One large loop branches into two lines at left like a running spiral motif.